Around 1900 a new style began to make its mark on the city. A group of young artists broke free of the academic style of Historicism and founded the Secession. The building of the same name, with its leafy gold dome and the motto, “To each era its art, and to art its freedom” gives expression to the group’s ideals. Architect Otto Wagner´s famous Art Nouveau buildings introduced an unprecedented style of architecture. The Wiener Werkstätte worked very much in the same spirit during this brief period, focusing on interior design and on creating objects for everyday use, from salt shakers to wallpaper. 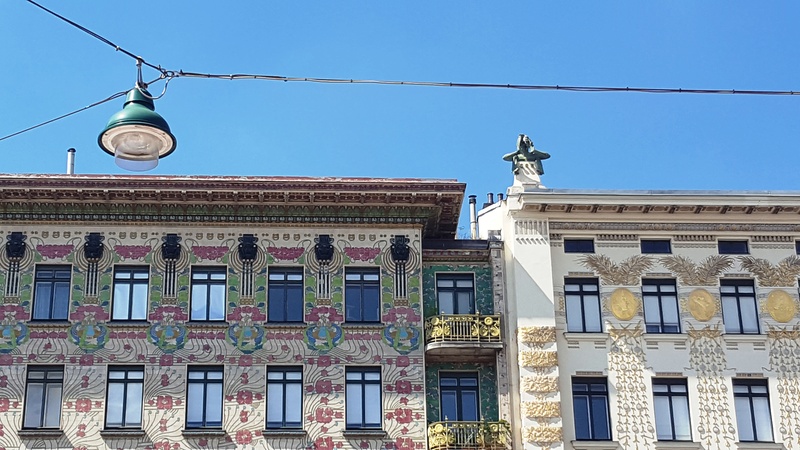 During this walk you experience some of the main attractions of the Viennese Art Nouveau period, including the Secession building, Otto Wagner´s pavilions on Karlsplatz square and other examples of Art Nouveau in the city center. If you are interested in seeing a specific building, please let us know by entering this information into the corresponding field on our request/booking form.